Autogenic relaxation scripts include relaxation techniques that involve imagining your limbs are warm and heavy, breathing is slow and regular, heart rate is steady and slow, your body is relaxed, and your mind is calm. The free relaxation scripts provided here allow you to learn to quickly and easily relax at home. Your own voice can be particularly effective for inducing the relaxation response, because people often respond best to suggestions they provide themselves. You might find you are able to relax listening to your own voice better than listening to someone else. Try it to find out! If you enjoy these autogenics scripts, subscribe to Relaxation by Inner Health Studio podcast to hear scripts like these as a new relaxation download each week. "Autogenics" is a relaxation technique that allows you to relax each part of your body by imagining that it is warm and heavy. Autogenics involves imagining that your limbs are warm and heavy, your heart rate is slow and steady, and your forehead is cool. This process will induce the relaxation response. 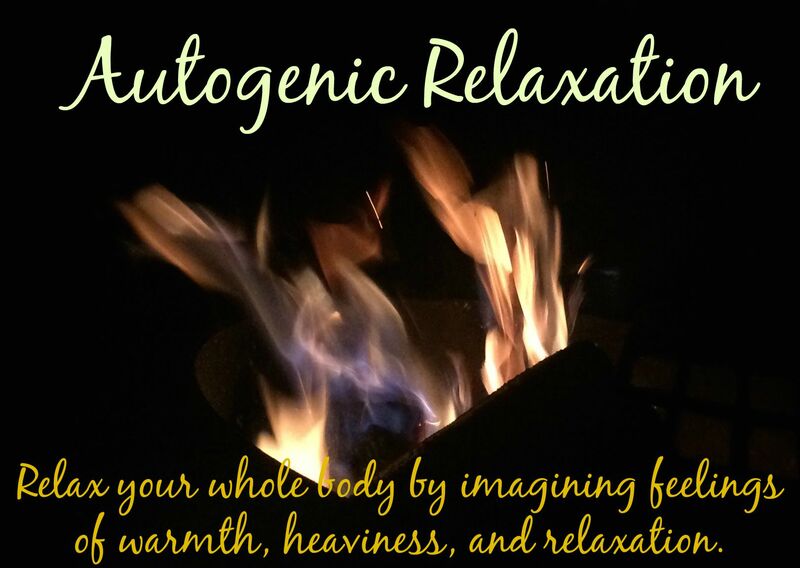 This warm autogenic relaxation script will guide you to imagine that each part of your body is warming and relaxing. Relax your whole body with a pleasant feeling of warmth. Biofeedback therapy is a way to get feedback from the body to measure how relaxed you are. This exercise uses simple biofeedback therapy you can do easily at home. This generalized anxiety relaxation script help you to feel generally calmer, more relaxed, and better able to withstand stress. This body scan sleep relaxation uses a variety of relaxation techniques to help calm the mind and body and drift off to sleep.